En France les collectes sont organisées par Christophe Audoire lors de compétitions aux stand d’exposition LIGNE DROITE . 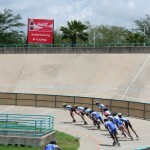 World Inline Coach organise des collectes de matériels de course usagés (ou neufs) pour des donations gratuites à des patineurs dans les pays en voie de développement aidés par l’association. 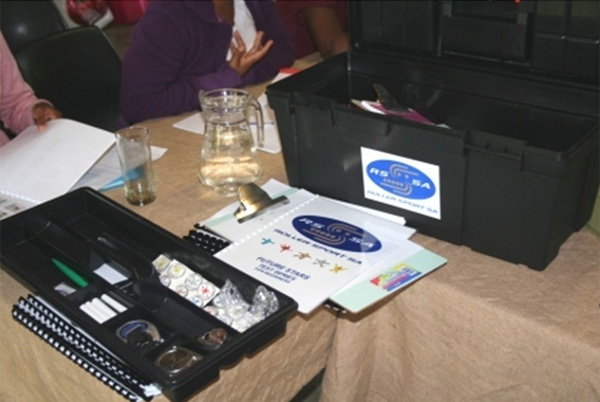 Ces collectes de matériels sont organisées depuis plusieurs années ( Afrique du Sud, Kenya …). Merci de faire passer cette information autour de vous et de nous faire parvenir ces équipements. Vous ferez des patineurs heureux quelques part dans le monde . If you have some old pair of shoes, frames ( 5 X84mm for example) wheels ( any diameters) helmet, racing suits bearing are also welcome. The association will organize the repackaging and transport in the concerned countries. Thank you very much to pass that information around, collect the equipment and contact us to see how we can organize to collect them. You will make a skater very happy somewhere in the world. World Inline Coach organizara colecta de equipo usado o nuevo para una donación libre a patinadores a países en desarrollo para quienes lo necesiten. Esas donaciones están organizadas desde muchos años (Sudáfrica, Quenia) si tu tienes algún par de Botines, Planchas/chasis, 5 por 84 milímetros por ejemplo, Ruedas, cualquier diámetro, cascos, Uniformes (body), Rodamientos, son también bienvenidos. La asociación organizara y armara lo recolectado y transportara a los países concernientes al tema. Muchas gracias por pasar esta información alrededor tuyo y recolectar algún equipamiento tu harás muy feliz a algún patinador en alguna parte del mundo. Roller Sport South Africa is proud to announce the 2010 South African Open Speed Roller Skating Championship. With financial assistance from the National Lotteries Distribution Trust Fund we are in the position host this exciting event. 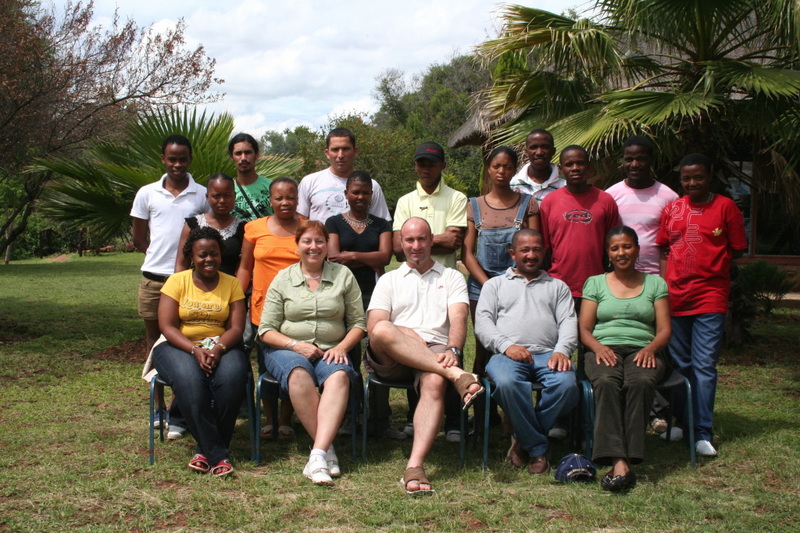 The 33rd annual South African Championships, open to international participation, will take place in Mandela village, Hammanskraal 19 to 21March 2010. South Africa’s best skaters will face tough competition from world medal winners who have already confirmed their participation in the event. 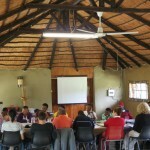 Local teams from Eastern Cape, Central Gauteng, North West, Northern Gauteng, southern Gauteng, and Western Cape will battle it out to become South African champions. The championship will be 2 days of racing on the 400m road circuit followed by a 3rd day of long distance racing on the roads of Hammanskraal. 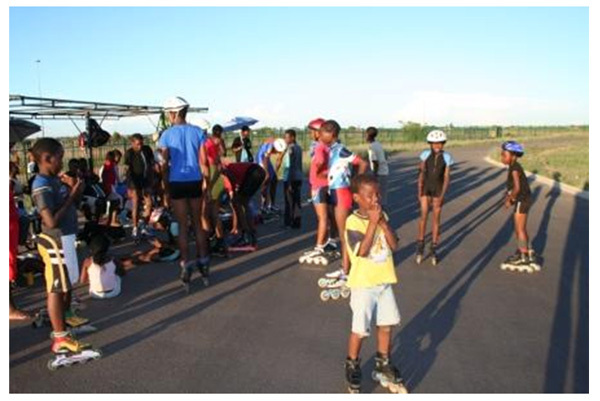 Beginner skaters will compete in the beginner under 13, under 15 and over 15 sections – these sections will be for South African skaters only and as RSSA rules stipulate, a skater may only skate on the RSSA beginner skates and may only compete in this section for 1 year. More advanced skaters will participate in the under 13, under 15, under 17 and over 17 age groups and top skaters will compete in the junior and senior sections. Sections and races may be changed depending on the amount of entries received. *OPEN RACES in beginner and age groups mean all ages will compete against each other in the specific race. All ages are determined on the 1st of January 2010. 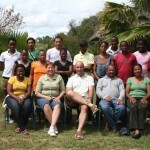 Official hotel – Kwalata Game Ranch (www.kwalata.co.za). An outstanding hotel in the Dinokeng Big 5 Game Reserve, the entrance of the reserve is less than 2km from the championship venue. 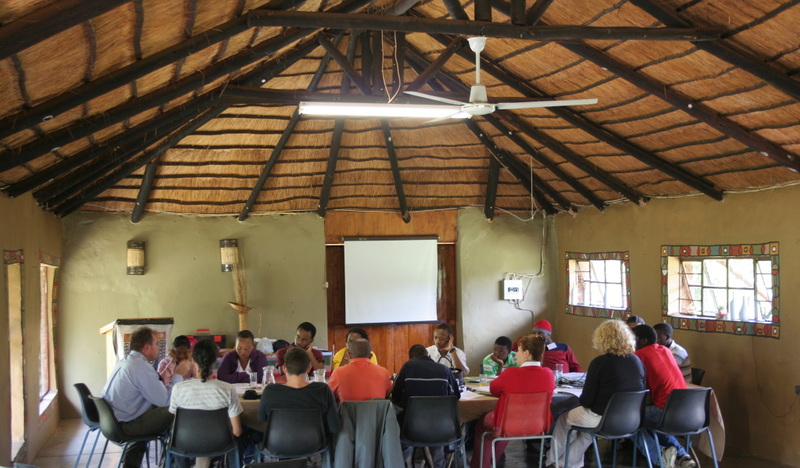 Teams can stay in the Phiri school camp with dormitory style chalets or in the luxury Main camp in private chalets. 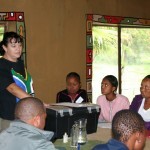 Phiri camp offers very basic accommodation (it is built for school groups) and has shared bathroom facilities. The 2 camps are very close to each other, everybody will still have their meals together at the main camp. It is terefore possible to split your team if some want to stay at a different camp. 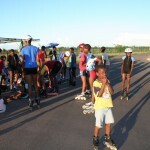 All the SA skaters will be in the Phiri camp. 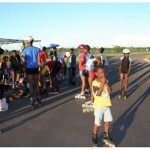 If International skaters want to stay at the Phiri camp we will also accommodate them even if they are not 10 persons. Accommodation tariffs includes buffet breakfast and buffet dinner. A light lunch will be provided at the venue during the championship. 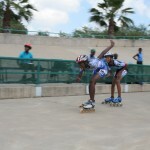 Roller Sport South Africa will handle all the bookings. 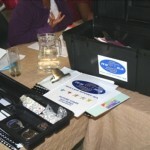 We will meet you at the Johannesburg OR Tambo airport and travel with you to Kwalata. Gold, silver and bronze medals will be awarded for each race. An overall champion will be annaounced in the junior and senior sections. The top South African skater in each section will receive a trophy as South African champion for the section. There will be stalls selling curio and other interesting articles during the championship. Totally optional !!!!! We will visit a local creche and from past experience you might want to bring small gifts for the kids, they are absolutely adorable and any help they receive is much appreciated. It is a rural area and the people do not have much. Books, pencils, paint, clothes etc. Is much needed and you can make a child very happy with a small contribution. Most of the children are between 2 and 6 years old. On my last visit we arrived during their afternoon sleeping time, all the kids were sleeping on the cold cement floors with no pillows, I personally want to try and buy some small foam matressess to give to the school. If anybody would like to contribute please let me know. I can organise an additional trips for 2 – 3 days to Sun City (a world famous holiday resort) if there are any persons interested. Let me know and I will get a quote. Grâce aux ventes des combinaisons WICOACH et aux stages encadrés en Europe, l’association World Inline Coach a pu financer un stage au Cameroun. Stage destiné au patineurs et entraineurs. Aussi avec l’aide précieux de Rémi Hubert, nous avons pu faire parvenir des patins complets. Rémi est parti en février avec 40 Kg de bagages et après quelques péripéties avec les douanes, choses courantes en Afrique, les patins et roues ont pu être offerts aux patineurs courses les plus méritants. Vous pouvez toujours faire parvenir à l’association de vieux patins de course … Il vous est possible de les remettre lors des grandes compétitions nationales au stand Ligne Droite . Ce stage au Cameroun et d’autres actions telles que l’envoi de matériel au Kenya ont pu être financés notamment par la vente des combinaisons WICOACH et Vidéo technique course au profit de l’association. Pour certains stages en France et à l’étranger encadrés par Christophe Audoire les inscriptions sont reversées à WICOACH . Si des clubs souhaitent organiser des stages roller courses pour l’association WICOACH contactez-nous pour réserver des dates – Saison Hivernale 09 -10 et printemps prochain. Plus de 60 patineurs course dans 3 villes étapes : Douala, Boueq et Yaoundé ont pu bénéficier des précieux conseils d’un entraineur spécialisé en course. il existe une véritable envie d’apprendre et de progresse pour atteindre un de leur rêve : les championnats du monde. Une structure fédérale fragile mais des structures régionales plus distinctes et plus structurées. Notamment du côté de Boueq, il y a un véritable investissement des dirigeants. Une preuve de réelle motivation qui doit être suivi de réalisation sur le terrain. Les entraîneurs régionaux et l’entraîneur national sont professeurs d’EPS qui n’ont pas encore une très grande connaissance du roller. Since the last few years, actions of help for speed skating development have been done in several counties by Christophe Audoire … that was the beginning of the WICOACH project. 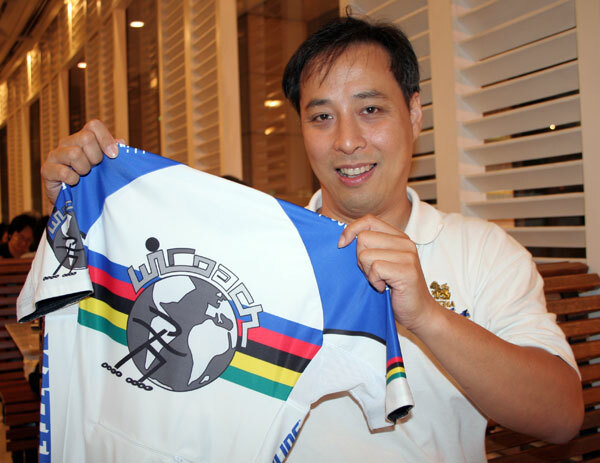 Technical training with skaters and development program with sport administrator was the base of working with Thailand , now federation is working on establishing national skating center base and national team to participate at next Asian games. Program of communication and demo-Van promotion in main cities are in preparation. Coaches that join the movement of WICOACH have also made some actions of help in direction of skaters and coaches. like Paolo Marcelloni (Italia)in Iran and Kelly Springer ( USA) In south America, Remi Hubert ( France) for Africa. 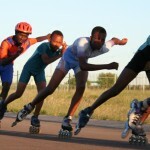 South Africa is the most developed country in Africa for Speed roller skating. 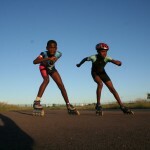 The work of the family Van Heerden since many years has always been a tremendous help to spread roller skating in the entire nation. 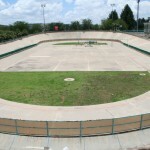 Pretoria city got a great 200 m track build in the same complex as the cycling track. South Africa is already participating at World Championship and is now looking to increase their world level to reach some higher ranking. Last trip in South Africa, WICOACH brought 60 kg of speed wheels collected from different pro WIC team and National team of France. Their needs of equipment are especially for wheels. 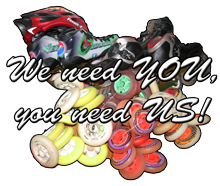 Now the skaters who got good speed skates and train hard every day need more and more wheels. Christophe Audoire did present the WICOACH help for developing speed roller Skating. 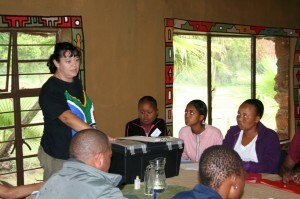 Coaching lessons were held also at the Mandela Village club and track of Pretoria. All what is needed to coach skating is in it ! 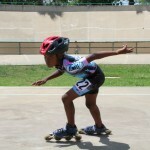 VICE PRESIDENT of ROLLER SPORT KENYA. Joseph is on the left next to RSK president Mme Cleopatra A. Mbeo. Joseph is dedicated to the roller sport since many years as skaters and now coach and federation administrators. 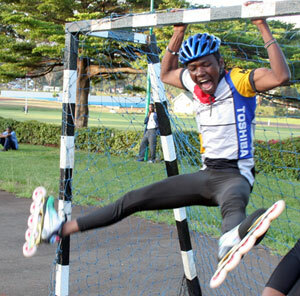 They organized in the centre’s streets of capital town Nairobi a Inline speed skating marathon which reach this year 200 participants. We did have some training sessions on Speed Inline techniques. Skating lessons with skaters and coaches were held at University of Nairobi graduation square. Also on a road near football stadium training session based on physical preparation were also conducted. 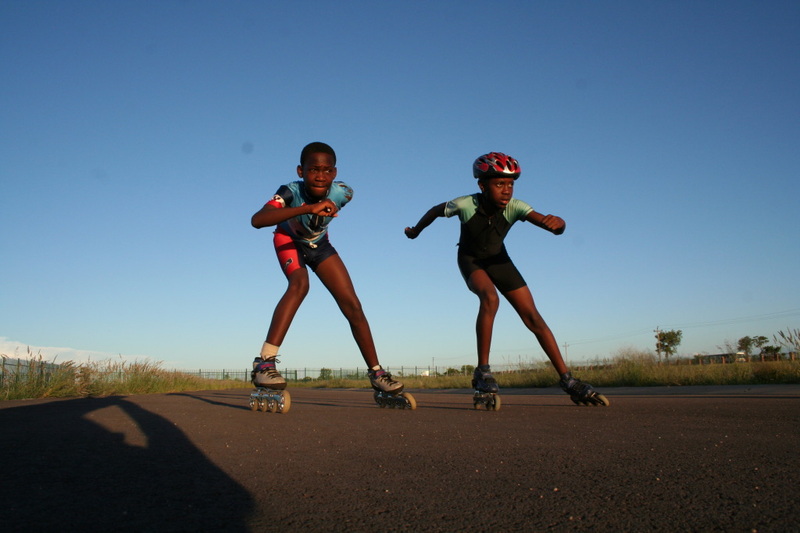 Development for the Speed roller skating in Kenya. 1st step: Coaching level’s development with future seminar to instruct coaches how to teach speed skating in their clubs. 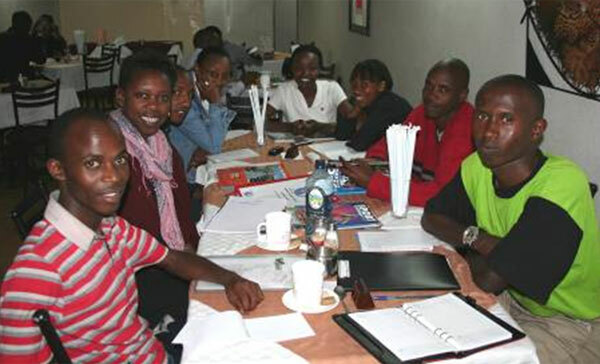 2nd step : Best Kenyan skaters to participate at international races, with also coaches to get some knowledge of international skating level . National team to participate at World Championship 2008 in Spain. 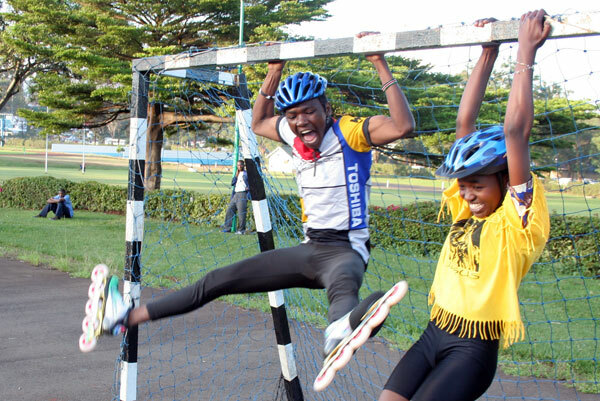 “ … Roller skating grow in Kenya from being a neighbourhood past time to being an organized competitive sport. The most active discipline is inline speed skating though some skaters are also interested in artistic, hockey and aggressive skating. In 1997, KENYA CONFEDERATION OF ROLLER SKATING (KCRS), was registered as national federation with the relevant authorities to govern and develop this sport in the country, thanks to Philip Kiura and Jack Njoroge amongst others. 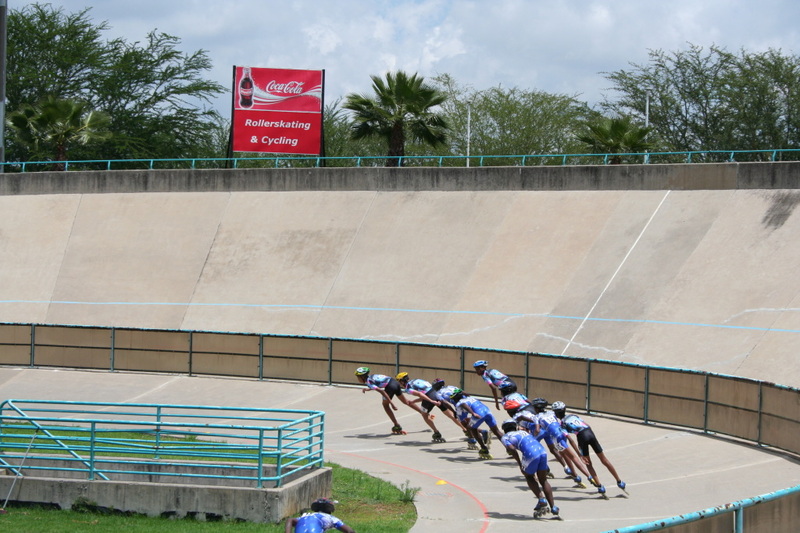 Since then the organization has changed the name to ROLLER SPORT KENYA. 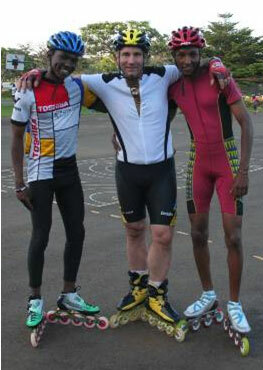 Speed skates donated by European Skaters have been give to the Kenyan skaters. 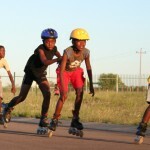 Roller Sport South Africa has truly been very instrumental in helping Kenya grow. In July 2004, we had national championships and for the first time we had over a 100 skaters compete. 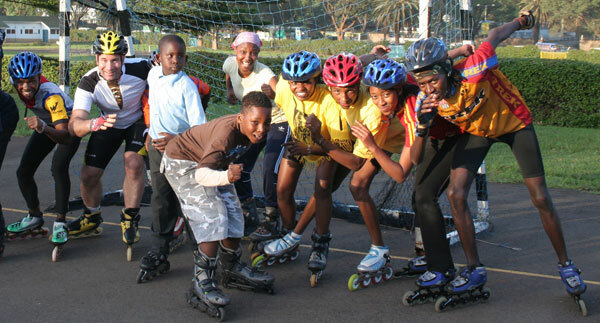 Development of Roller Skating in Kenya. 1. Roller skating is yet to make its mark as a competitive sport in this country; like many other modern and upcoming sports, majority people have not yet recognized it as serious sport. 2. 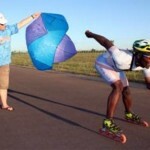 Finance: skating is not a cheap sport especially in Africa where there is no shop where one can buy professional gears. With almost zero support from the relevant authorities it has been very hard to even have our talented skaters get exposure to the real skating world out there. 3. 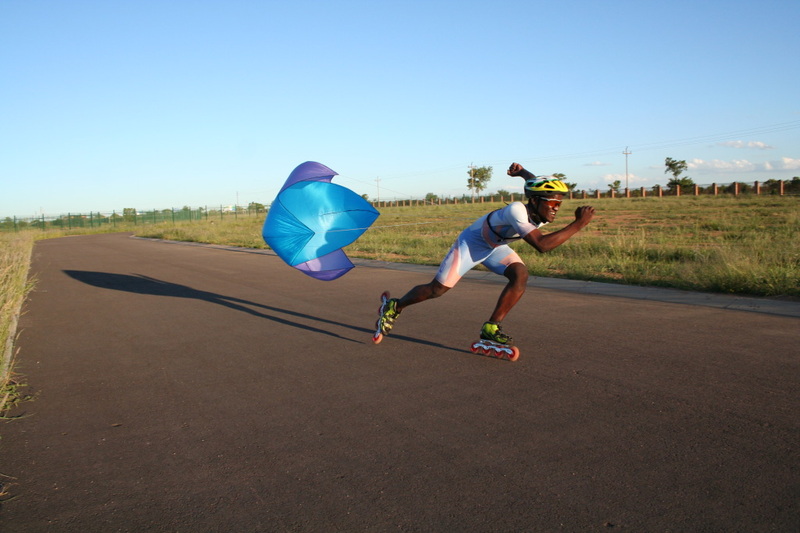 Federation always try to make the sport competitive in Kenya, for a Kenyan skater, racing’ always means a flight ticket and lodging, to South Africa, Europe, United States or China. 4. There is also a great need for professional coaching. 5. Skating Rink: There isn’t any roller skating rink in Kenya. One day the skaters will have a place they can call their own. This will open many opportunities and facilitate the development of skating in Kenya. FIRS-CIC (Comité International Course) is giving support and recognition to the project of World Inline Coach Association. 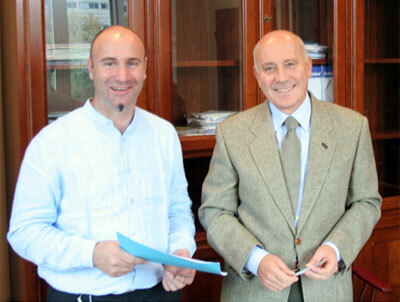 Christophe Audoire and CIC president Roberto Marotta. During presentation of the World Inline Coach project –Italy Oct 07. The priority effort of the association in coordination of the FIRS-CIC will be in direction of the African countries. Also Mediterranean countries will be a main focus for the “2009 Mediterranean games «where speed roller skating will be introduce as official sport. Several countries where speed skating needs to be organized in appropriate way to have a national team will get some help (training camps and organization of sport administration).